Motherboard, an online technology magazine has recently run an article titled "With $20 of Gear from Amazon, Nearly Anyone Can Make This IMSI-Catcher in 30 Minutes". 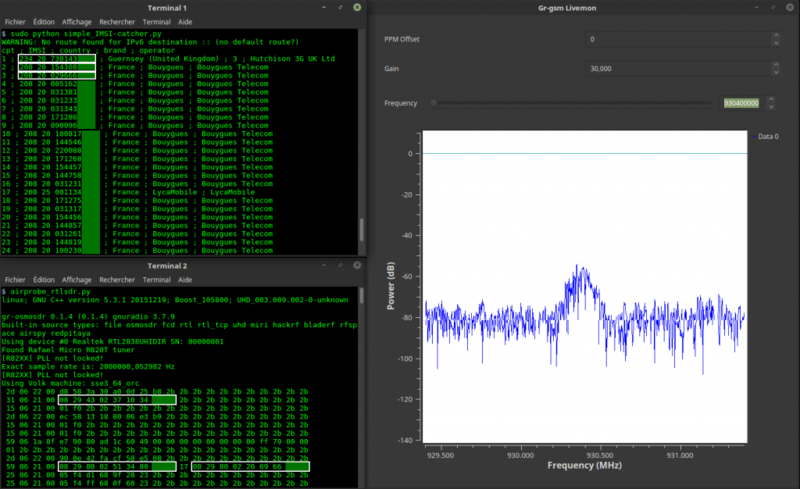 The article describes how an RTL-SDR together with the IMSI-Catcher Linux software can be used to collect IMSI numbers from cellphones connected to a nearby cell tower. The IMSI is a unique number assigned to each SIM card and collecting this data could be used to identify if someone is in the area covered by the cell tower. The IMSI-Catcher software only works with the older 2G GSM signals which are now being phased out in some countries and are relatively unused in others. Also unlike more advanced IMSI-Catchers which create a fake cell tower signal, the RTL-SDR based IMSI-Catcher can only collect IMSI numbers when the cellphone first connects to the cell tower. One of our older posts with a YouTube tutorial video explains the RTL-SDR IMSI Catcher in more detail. Unicorn team are information security researchers who often also dabble with wireless security research. 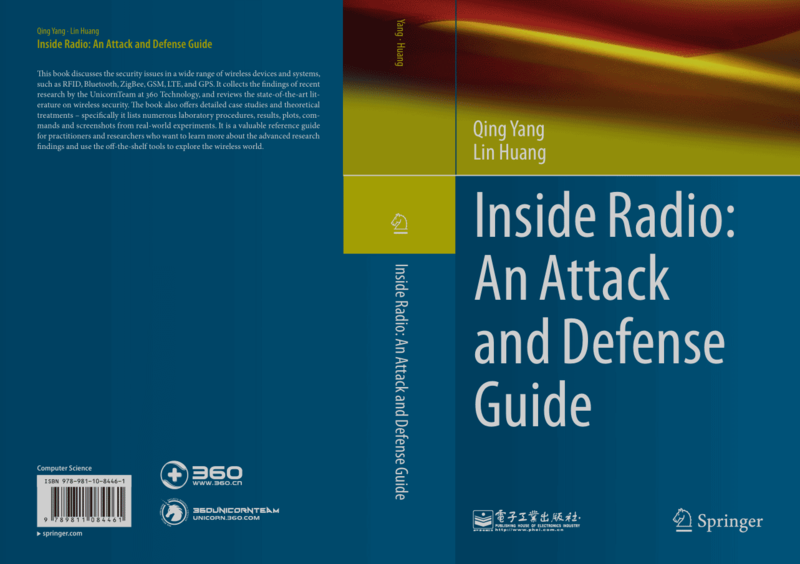 Recently they have been promoting their upcoming text book titled "Inside Radio: An Attack and Defense Guide". Judging from the blurb and released contents the book will be an excellent introduction to anyone interested in today's wireless security issues. They cover topics such as RFID, Bluetooh, ZigBee, GSM, LTE and GPS. In regards to SDRs, the book specifically covers SDRs like the RTL-SDR, HackRF, bladeRF and LimeSDR and their role in wireless security research. They also probably reference and show how to use those SDRs in the chapters about replay attacks, ADS-B security risks, and GSM security. The book is yet to be released and is currently available for pre-order on Amazon or Springer for US$59.99. The expected release date is May 9, 2018, and copies will also be for sale at the HITB SECCONF 2018 conference during 9 - 13 April in Amsterdam. This book discusses the security issues in a wide range of wireless devices and systems, such as RFID, Bluetooth, ZigBee, GSM, LTE, and GPS. It collects the findings of recent research by the UnicornTeam at 360 Technology, and reviews the state-of-the-art literature on wireless security. The book also offers detailed case studies and theoretical treatments – specifically it lists numerous laboratory procedures, results, plots, commands and screenshots from real-world experiments. It is a valuable reference guide for practitioners and researchers who want to learn more about the advanced research findings and use the off-the-shelf tools to explore the wireless world. Qing YANG is the founder of UnicornTeam & the head of the Radio Security Research Department at 360 Technology. He has vast experience in information security area. He has presented at Black Hat, DEFCON, CanSecWest, HITB, Ruxcon, POC, XCon, China ISC etc. Lin HUANG is a senior wireless security researcher and SDR technology expert at 360 Technology. Her interests include security issues in wireless communication, especially cellular network security. She was a speaker at Black Hat, DEFCON, and HITB security conferences. She is 360 Technology’s 3GPP SA3 delegate. This book is a joint effort by the entire UnicornTeam, including Qiren GU, Jun LI, Haoqi SHAN, Yingtao ZENG, and Wanqiao ZHANG etc. As part of their senior project Matthew May & Brendan Harlow of Champlain College worked on a project that involved creating their own software defined radio based portable cell phone network. If you're interested their setup is nicely documented on their project page. Basically it consists of a bladeRF software defined radio and Raspberry Pi running the YateBTS base station software. This is nothing new in terms of work done before, but the clear documentation makes it a good starting point for anyone looking at building their own SDR based cell basestation. A custom cell basestation may be useful for those in remote areas without commercial cell phone reception, during disasters or even just to create a type of secondary network in your home. Over on YouTube user Keld Norman has uploaded a video showing how he uses an RTL-SDR with gr-gsm and a Python script to create a simple IMSI catcher. IMSI stands for International mobile subscriber identity and is a unique number that identifies a cell phone SIM card in GSM (2G) mobile phone systems. For security IMSI numbers are usually only transmitted when a connection to a new cell tower is made. More advanced IMSI-catchers used by governmental agencies use a fake cell tower signal to force the IMSI to always be revealed. This way they can track the location of mobile phones as well as other data like who or when you are calling. In the video Keld uses a Python script called IMSI-Catcher. 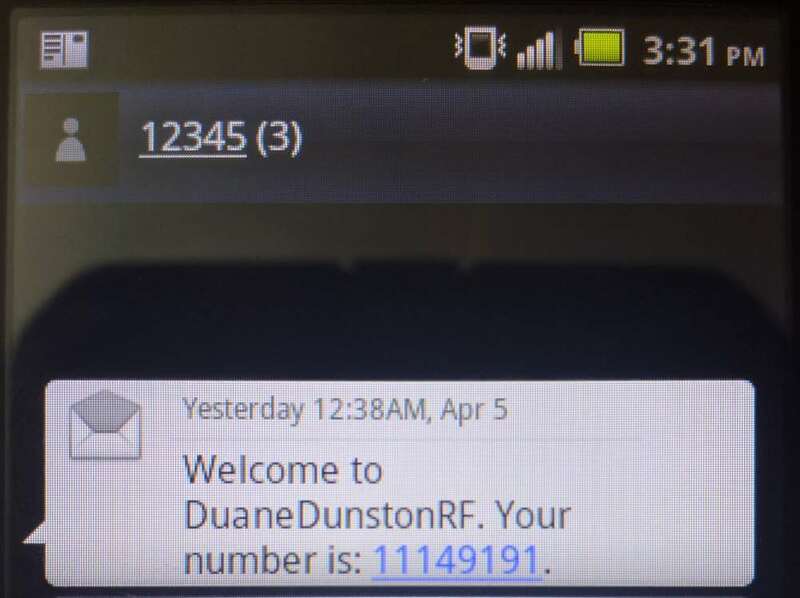 This script displays the detected IMSI numbers, country, and mobile carrier on a text display. 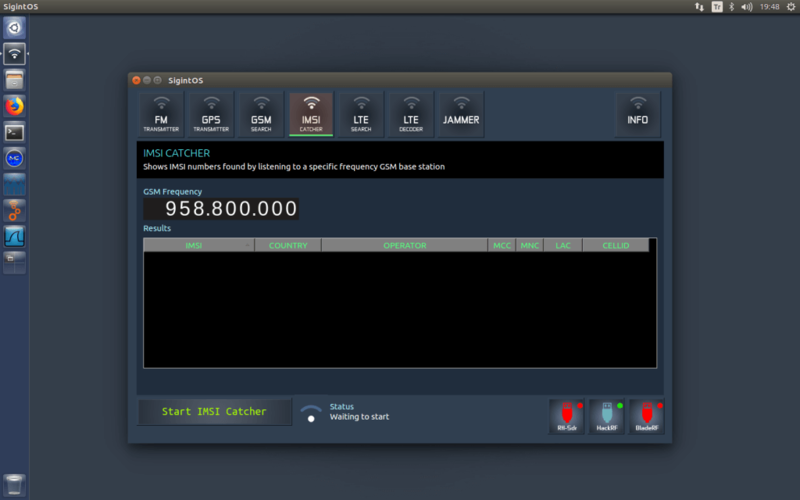 The video description shows how to install GR-GSM and the IMSI-Catcher script on Ubuntu. Recently security researcher cnxroot wrote in to let us know about two of his posts that may be of interest to readers. The posts are written in Chinese, so please use Google Translate to read them in English – it translates okay to some extent. 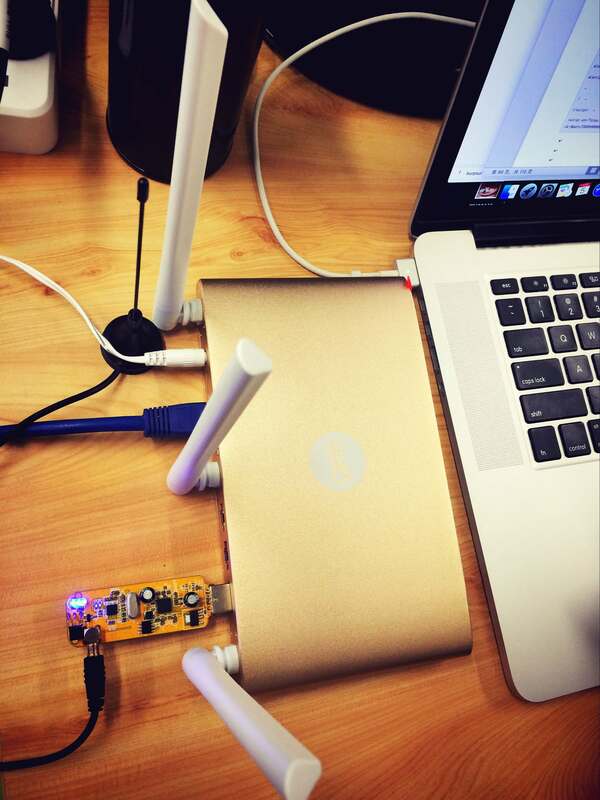 The first post shows us how to run the RTL-SDR on an OpenWRT capable router server. OpenWRT is a Linux firmware/OS that can be installed on several compatible router devices which extends the usefulness and features of the router. Since it is running Linux the RTL-SDR drivers can be installed onto it, and then rtl_tcp can be run, providing a remote RTL-SDR. The second post is a bit more advanced. 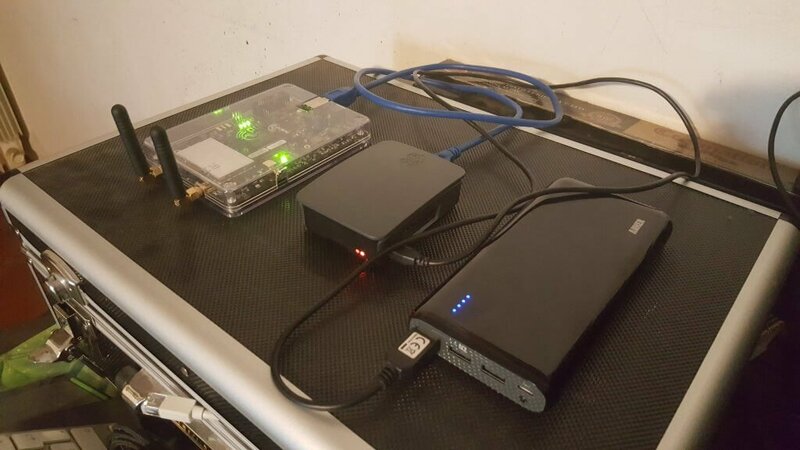 It is about creating a pseudo GSM base station with a USRP SDR and intercepting IoT devices which connect over GSM/GPRS. The post shows how to set up OpenBTS which can be used to create a base station. RTL-SDR running on an internet router with OpenWRT. Over on his blog author Simone Margaritelli has added a tutorial that shows how to set up a bladeRF to act as a GSM basestation (cell tower). Having your own GSM basestation allows you to create your own private and free GSM network, or for more malicious illegal users it can allow you to create a system for intercepting peoples calls and data. Simone stresses that it is well known that GSM security is broken (and is probably broken by design), and now it is about time that these flaws were fixed. In his tutorial he uses a single bladeRF x40 and a Raspberry Pi 3 as the processing hardware. The bladeRF is a $420 transmit and receive capable software defined radio with a tuning range of 300 MHz – 3.8 GHz and 12-bit ADC. He also uses a battery pack which makes the whole thing portable. The software used is Yate and YateBTS which is open source GSM basestation software. Installation as shown in the tutorial is as simple as doing a git clone, running a few compilation lines and doing some simple text configuration. Once set up mobile phones will automatically connect to the basestation due to the design of GSM. Once setup you can go further and create your own private GSM network, or make the whole thing act as a “man-in-the-middle” proxy to a legitimate GSM USB dongle, which would allow you to sniff the traffic on anyone who unknowingly connects to your basestation. This is similar to how a “Stingray” operates, which is a IMSI-catcher device used by law enforcement to intercept and track GSM communications. More information on using the bladeRF as an IMSI catcher with YateBTS can be found in this white paper. bladeRF x40, Raspberry Pi 3 and a battery pack. Running a GSM basestation.